Born and raised in the UK, Ben was introduced to sailing at an early age, and was a sailing instructor even before he could drive. He holds a Masters Degree in Engineering and Business from the University of Birmingham. 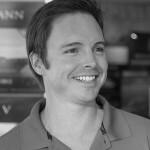 Following a 10 year yachting career as Chief Engineer on yachts between 45-62 meters in length, Ben became Warranty Manager for Trinity Yachts, a position that lasted 4 years and lead to a wealth of knowledge with regard to technical yacht management. In 2014 Ben transitioned into Yacht Management with IYC.